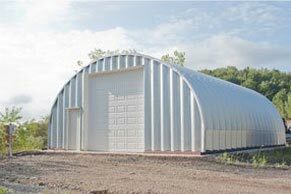 Metal garage kits and steel arch buildings custom manufactured for Louisiana. 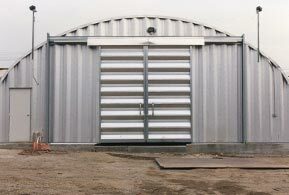 Metal Building Kings® Louisiana metal garage kits are custom built and manufactured in our factory according to LA manufactured building code specifications to assure your metal building blueprints arrive at your work site and are approved by your local building inspector. 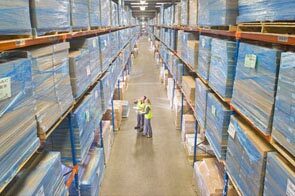 Our distribution centers located in New Orleans, Baton Rouge, Shreveport, Lafayette, and Lake Charles, provide shipping of your metal garage kits to all 4.65 million residents in 64 Parishes throughout the Pelican State. 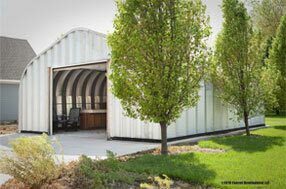 Metal garage kit steel building models can be custom designed for Retail, warehousing, agriculture and trucking industries throughout Louisiana with the accessories you need to have a fully functional professional building that suits your business. 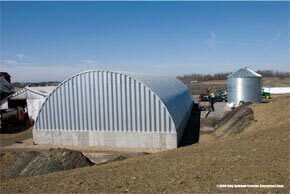 Agriculture and farming customers custom design and order Our Q model steel building which is the largest prefab metal garage. Select from 10’ to 24’ high buildings and widths of up to 100’. 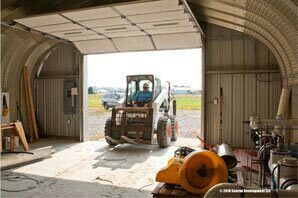 The Louisiana Q model garage kit can have roll up, bi-fold, sectional or sliding end wall doors. 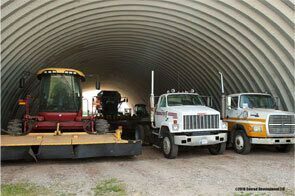 The S Model is also perfect for this industry with widths up to 60’ which often have a sliding doors 14’ wide. 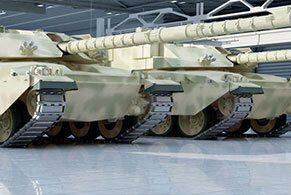 Heavy gauge steel from 16 to 26 gauge can be selected for your doors. Walk through doors for your Louisiana garage kit come in 3 sizes: 3'x7' (3070/single leaf), 4'x7' (4070/single leaf), and 6'x7' (6070/double leaf) all with 18 - 20 gauge galvanized steel and 1.75" thick. Warehousing is utilized by steel arch garage kit. For Louisiana residents, the A and P model kits serve as an addition to your home for storage and workshops. 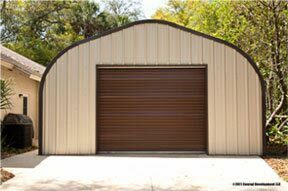 25’ x 30’ clear span garages in Abita Springs, Farmerville, Folsom, and Luling are seen dotting the landscape for equipment and vehicle garages on large rural lots. The 14-22 gauge 80,000ksi tensile yield carbon steel panels are erected to structure the garage in 2 foot sections bolted down to base plates on the solid concrete foundation to withstand any weather event the Bayou country will ever sustain. Metal garage kits can be sealed tightly to prevent water damage from Mississippi River areas that have large deltas and coastal marsh and swamp lands susceptible to flooding and storm surge. The paint colors used in the manufacturing process for our Louisiana garage kits are processed using the AkzoNobel Ceram-A-Star® 1050 coating system, uses synthetic resins and comes in 5 colors and guaranteed to prevent peeling, flaking and adhesion loss for 4 decades. The paint acts as a thermal barrier because it reflects up to 70% of the sun’s rays and is Energy Star and LEED compliant and prevents against corrosion from damp environments like the Bayou country. Metal Building Kings® has clearance sale prices for Louisiana garage kits and guaranteed discount prices for custom designed buildings which you can price out here. Depending on the size and model you can find prices $942.00 to $4,912.00 under standard pricing for several garage kits we have already in stock. Metal garage kits custom made for Louisiana use three types of insulation. 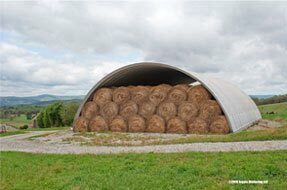 Roll (has an “R” Value of 8 - 30) and reflective insulation, spray foam insulation and insulated panels which are the best type are built right onto the steel panels and have the best "R" rating. Panel insulation, although a bit more expensive is easier to have and looks the nicest too. 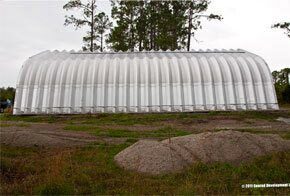 The tropical climate in the summer months north and inland off the Gulf of Mexico in Central Louisiana especially have custom designed buildings with the properly insulated walls and roof. 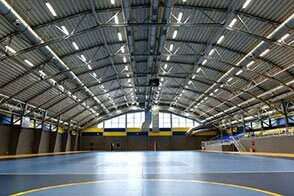 Wind velocity building codes and Louisiana manufactured buildings codes in LA are incorporated into our building designs at the point of the manufacturing process. A company cannot ship a modular building into the state unless it meets Louisiana's codes. Wind codes on the Gulf of Mexico and Louisiana's border go up to 140 MPH in St. Bernard Parish, and Plaquemines Parish as well as southern coastal points in Terrebonne and Lafourche and decrease to 90 MPH at the furthest point north in Claiborne, Union and Morehouse. Louisiana wind codes for buildings as outlined in section 1603.1.1 through 1603.1.9 are within Metal Building Kings® top wind certification of 170 MPH.